"I looked on the deed I was about to commit as a great and solemn sacrifice to Knowledge, whose Priest I was." 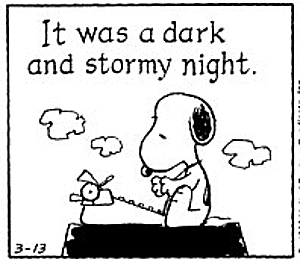 " whimsical literary competition that challenges entrants to compose the opening sentence to the worst of all possible novels." As a word of friendly warning, I should note that Bulwer-Lytton's style of writing has been labeled as "florid," "turgid," and one of my online friends referred to it as the "paid-by-the-word" style -- in short, he's extremely verbose, a yammerer extraordinaire, and devoted to wordiness to the point where reading is a chore. I consider myself to be a very patient reader but I almost lost my cool after reading six pages devoted to absolutely nothing but one man trying to convince another to look after his cat while he was off on his travels. I knew this was going to be rough going pretty much at the outset. However, in spite of the extreme verbosity, Eugene Aram turns out to be a pretty decent book, a tale very loosely based on the real-life story of the titular character. According to the Newgate Calendar, aka The Malefactors' Bloody Register, the real Aram, was "A Self-Educated man, with remarkable Linguistic Attainments, who was executed at York on the 6th of August, 1759, for a Murder discovered Fourteen Years after its Commission." Bulwer's Eugene Aram is just one example of the body of work known as the "Newgate Novel,"
"so-called because the characters of its stories might have been found in the pages of Newgate Calendars, a collection of criminal biographies that first appeared in 1728." 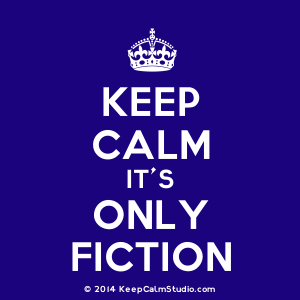 " These novels and others like them set in place themes and tropes that shaped early fictional narratives of crime.They incorporated factual events, revolved round the figure of the criminal, and promoted a didactic political and social message." In other words, according to one literary scholar, the Newgate novel "emerged in the 1830s as a response to contemporary issues within the social, legal and penal systems of Victorian London." 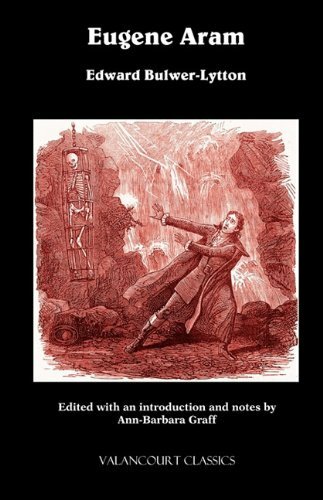 For further information, there are all sorts of resources online and in print about the Newgate novel; now it's on to Eugene Aram. Aside from the overly-excessive verbiage here, the novel isn't half bad. Divided into three volumes, the first few chapters introduce us to the main characters of this book, and situate us somewhere in the English countryside, in the village of Grassdale. The backstory to what is to come is also introduced, concerning the disappearance of one Geoffrey Lester, brother to squire Rowland Lester and father of Walter Lester. Geoffrey had married a woman with a "competent and respectable fortune," stayed with her a few years even though the marriage wasn't a good one, and then just took off leaving young Walter behind to grow up in the home of his uncle Rowland. Every effort had been made to find Geoffrey, but to no avail. "The deep mystery that for so many years had hung over the fate of his parent, it might indeed be his lot to pierce; and with a common waywardness in our nature, the restless son felt his interest in that parent the livelier from the very circumstance of remembering nothing of his person." Off he goes and it isn't too long after he begins his quest that he finds the first clue having to do with his missing father; following that up sends him on to yet another place and so on until he is ready to return to Grassdale, as it just so happens, on the day set for the marriage between Madeline and Eugene Aram. But the wedding plans are off after Walter reveals everything he's learned over the course of his travels -- as the back-cover of my copy reveals, Walter's quest will "lead to the discovery of a long-hidden and horrible crime and the trial of Eugene Aram for murder!" "looked on the deed I was about to commit as a great and solemn sacrifice to Knowledge, whose Priest I was"
at which point I was actually sort of floored with the conceit of this guy. How this is so I won't reveal, but it's a somewhat twisted logic Bulwer-Lytton uses here, and I'm afraid that I'm in agreement with many of his contemporaries who called him out for turning his Eugene Aram into sort of as Winifred Hughes says in her The Maniac in the Cellar, a "criminal-hero." I've noted above the hazards of the writing style in this book, but I will also say that despite the testing of my endurance, Eugene Aram turned out to be a good read for me. It takes a very patient reader to make it through this book, but it's worth it for many reasons, none the least of which is that it is a part of crime-fiction history. When earlier I posted my thoughts on Richmond I said that "it's a narrow circle of readers who will be attracted to this book, making it what I call an "NFE" read -- not for everyone..." and I will say that the circle of people who would be attracted by Eugene Aram is probably even narrower. I would, however, certainly recommend it to readers who are interested in the evolution of crime fiction, and for those readers who are interested in pre-Victorian British fiction as well. 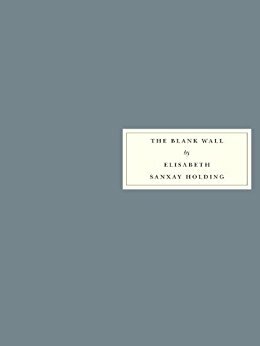 The Blank Wall, by Elisabeth Sanxay-Holding: A yes in my book. "For my money she's the top suspense writer of them all." 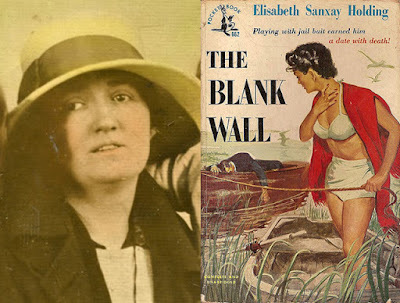 "Elisabeth Sanxay Holding vanished on this side of the Atlantic and all-but vanished on the other." In 1959, Alfred Hitchcock reprinted the complete The Blank Wall in his anthology called My Favourites in Suspense, and a reviewer at the time described Holding as an "astonishing artist" and called upon "reprint publishers" to take notice, but sadly, no one did. As late as 1981 Maxim Jakubowski writing in The Guardian also said that for publishers, perhaps "the time has come to take up Raymond Chandler's challenge" and to "resurrect the exemplary books" by this author, but no one did. Holding is another sadly-neglected author, but now that I've read two of her crime novels, trust me, the home library will be hosting many, many more. I consider myself lucky to have found this novel, because it's so nicely done I couldn't stop reading it once I'd picked it up. It reminded me so much of the work of Patricia Highsmith, but Highsmith's first novel, Strangers on a Train, didn't come out until 1950. The Blank Wall is a book where there are crimes, cover-ups and consequences, but like so very many of Highsmith's books, the focus here is much more on character rather than simply crime. 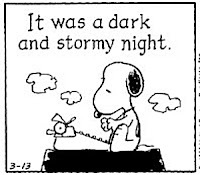 In that sense, it's not what I'd call a typical suspense/crime novel, so anyone who may be considering it might want to make note of that fact. In other words, the plot is not nearly as important as what's happening around it. Lucia Holley is a mother of two, keeping the home fires burning while her husband Tom is away, "somewhere in the Pacific," doing his duty during World War II. Her father lives with the family, and she's got a gem of a housekeeper named Sibyl to help her out. Lucia writes Tom "very dull letters" every evening, letters meant to provide her husband with "a picture of a life placid and sunny as a little mountain lake." And in fact, life had been pretty dull at the Holley home, up until the time seventeen year-old daughter Bee began seeing a much older man named Ted Darby. Lucia knows he's no good for Bee, and even made a trip to nearby New York City to confront him, but her visit had been "utterly useless," and ultimately harmful, since Ted immediately turned around and told Bee about it, setting up a confrontation between mother and daughter. Lucia, for whom there is nothing she wouldn't do "to stop this thing" makes several threats (cutting off Bee's allowance, for example), but inside she feels as though all of this was her fault -- that she'd made "several mistakes with Bee, even when she was a little girl." Lucia's father (Mr. Harper) echoes her concern about Ted Darby, and matters come to a head one evening when Darby shows up at the boathouse. As Lucia is writing Tom and considering how "badly" she'd done with Bee, Harper reveals that he'd gone to the boathouse and "dealt with" Darby, pushing into the water and sending him off with a "flea in his ear." The next morning, Lucia wakes up "extra early," and decides to take out the rowboat and go for a swim, "to think of some new and better way to talk to Bee." As she steps into the rowboat, she looks into the nearby motorboat and discovers Darby's body -- "fallen, on a spare anchor, half upended on the seat, and it had pierced his throat." Her first thought : "Father did that." "Of course it means the police, she thought. Then Father will have to know that he did this. They'll find out why Ted came here, and Bee will be dragged into it. And I shan't be able to keep it from Tom. Not possibly. It'll be in the tabloids." Deciding that she must do anything "to save us all," she decides to hide the body. But Darby's death is only the tip of the iceberg: it's not long until she finds herself targeted for blackmail by a crook who has gotten hold of letters from Bee to Ted, leading to a sequence of events that will reveal exactly how far and to what costs this woman will go to protect her family. So that's the plot in a nutshell -- suspenseful, definitely, and also twisty along the way to the end, but as I said before, there is much more than merely plot to this book, and Lucia is at the center of it all. Lucia is a passive, highly-insecure woman and with Tom away, her "little world," as Lucia puts it, consists solely of her children and her father, for whom she will do anything. Her life since childhood has been relatively uneventful; she married young at eighteen, directly out of her parents' house, then had her first child. Up until Tom went away for the war, she's rarely had to cope with things by herself, and her life is rather humdrum and dull. She depends heavily on Sybil, who often covers up Lucia's absent-mindedness and sloppy housecleaning; Sybil makes the best deals at the markets to get the most out of their ration coupons, and keeps things on track within the home. But as things begin to threaten Lucia's "little world," Holding does a brilliant job here in slowly bringing out a Lucia who somehow manages to go deep within herself to find the strength she needs to protect it; she also makes us privy to Lucia's thoughts in which she comes to terms with how she really feels about herself and her life. "If one of those reporters stopped me in the street and asked me what I thought about Russia, or something like that, he'd put me down as Mrs. Lucia Holley, Housewife. Why is it 'housewife'? What would I call myself if we lived in a hotel? Nobody ever puts down just 'wife' or even just 'mother.' If you haven't got a job, and you don't keep house, then you aren't anything, apparently." There's a lot happening here outside of plot, as this book takes a look at (among other things) motherhood, family expectations, the true meaning of friendship, race, class, and domestic disruption on the home front due to the war. At the same time, the focus on the criminal aspects here are very well done, and the suspense ratchets constantly through the novel. It is so very well done on both inner and outer fronts, and I was so impressed with it that I couldn't put it down. It is highly intelligent and as I said earlier, I feel fortunate in having discovered it completely by chance. I can seriously and highly recommend this novel to readers of vintage crime, and to readers who enjoy crime fiction written by women. I promise - it's a story that will not be forgotten. I'll be back with an update on the film based on this book, "The Reckless Moment" (1949) after I've watched it. There was another adaptation, "The Deep End" (2001), but I'm going to pass on that one. Continuing on with my look at crime fiction history, I discovered this book, which the front cover says is "the first collection of detective stories (1827) in English." According to E.F. Bleiler's introduction, true authorship of this book is unknown (well, at least it was in 1976 when this volume was published), although the names of two different men (Thomas Surr or Thomas Gaspey) have been floated about as having written these tales. Bleiler dismisses the possibility of either one having done so. "The magistrate soon grew tired of this stuff, as I fear the reader has been long ago..."
or in scenes in which Richmond tells people to, as translated in our modern verbiage, cut to the chase and get on with the story. That sort of thing is only annoying for me every so often here, and doesn't really bother me too much -- in short, I had great fun with this book. "fame travelled in company, waxing, like the moon, brighter and broader as it rolled on"
so much so that his services were in great demand and in "much request for enterprises of 'great pith and moment.' "
There is a wide range of cases for him to solve here. He begins by looking into the disappearance of a little boy whom, it is feared, has been the victim of a "resurrection man" who kidnaps and kills in order to make money from bodies by selling them to anatomists. Next up is my personal favorite, in which an attorney turned rector via a fake degree decides to make his home among villagers who hate his tithe policies and try to drive him out using some very funny tricks (fake ghosts, fake earthquakes, a rat in the house with a bell attached to it, and more); while he's settling this one, he becomes involved with graverobbers. In fact, each case is not focused solely on just one crime -- Richmond uncovers others and continues his pursuits throughout the book, so a bad guy from one case may turn up in another. Moving on, the third case is a bit more complicated, involving smugglers, racing fraud etc., but it is here that he meets the woman he will eventually marry. In case number four, his services are required to rescue a man's daughter from a husband who is driving her mad and treating her terribly, and finally, in case five, Richmond spots a well-dressed woman trying to pass forged bank notes, leading him to bigger fish when he saves the life of a naive young man who tries to drown himself. Not only are these stories fun in the reading, but they move in and out of social, economic and class divides, exposing the best and the worst among all kinds of different people; it also moves between city and countryside so that we get the idea that crime happens everywhere. Richmond's detection skills are first rate; at the same time, having lived with the "gipsies" and gaining an understanding of how need and want can sometimes drive people into crime, he often turns his head to ignore some illegal activities that he feels are not as heinous as others. As I said earlier, it's a narrow circle of readers who will be attracted to this book, making it what I call an "NFE" read -- not for everyone, and that's okay. For me it's another window into the history of crime fiction, and I'm very happy to have discovered it. 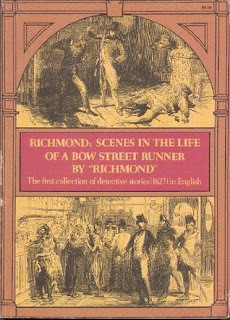 For any reader deciding to take a look, Bleiler's introduction covers a wide range of topics not just connected with Richmond -- it also includes a brief history of the Bow Street Runners and how they were perceived as well as many other subjects of great interest to nerdy people like myself. I found Richmond fascinating -- then again, I could make a steady diet of books like this one.